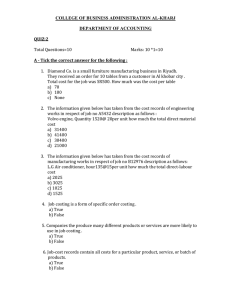  Explain the differences between absorption costing and a variable costing system. 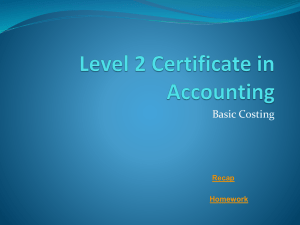  Explain the difference in objectives between the two costing systems. 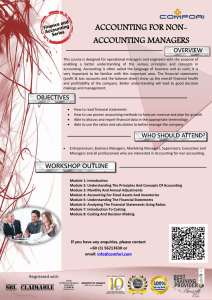  Prepare profit statements based on a variable costing and absorption costing system.  Understand the importance of the contribution margin and how to calculate it. 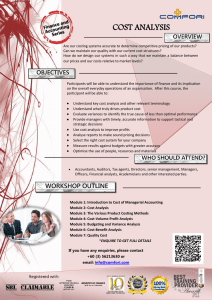  Explain the benefits of variable costing and absorption costing. 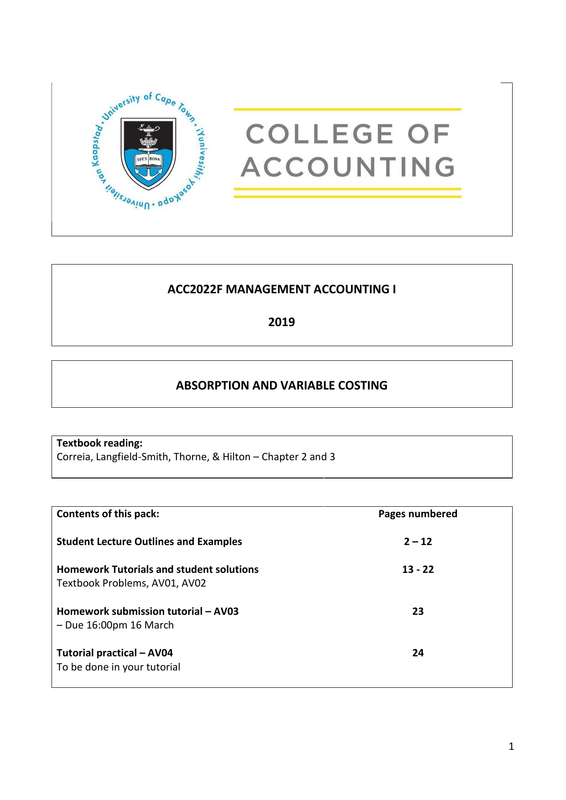 absorption costing and there is an appropriate time to use variable costing. be produced in 2011. Budgeted fixed manufacturing overheads were R100 000.  The different treatment of fixed manufacturing overheads between the two costing methods.  The product costs differ between the two costing methods. * Variable selling and admin expenses vary in proportion to the number of units sold. manufacturing overheads are the same as budgeted. 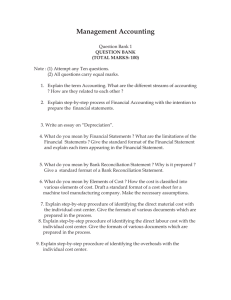 Prepare the income statement under variable and absorption costing. Income statement formats for variable and absorption costing are important! What are you used to seeing?  The different lay out of the income statement for the different costing methods.  The total profit over the three year period is the same for both costing methods. Why is this?? Company B manufactures slip slops. The company estimated that it would produce 20 000 units per month. Currently there is no inventory on hand. FMOH is allocated based on number of units produced. costing for each of the three months.  The only difference is the timing with which fixed manufacturing overhead becomes an expense. Each factory managed to sell 20 000 units. Assume all factories start with an inventory balance of zero. 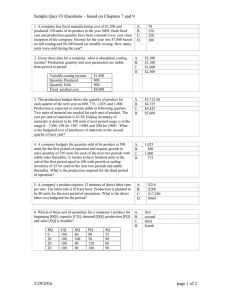 Question 1: Prepare the profit statement for each manager using absorption costing. The Hadfield Company was organized on January 1, 2008, to manufacture and sell a unique electronic part. a. 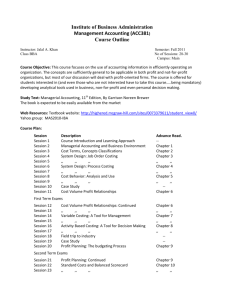 Explain the difference(s) between variable costing and absorption costing. List two advantages of each. reconciliation between the absorption profit and variable profit. Do not prepare an income statement. but reported a profit in 2008, although the same number of units was sold in each year. 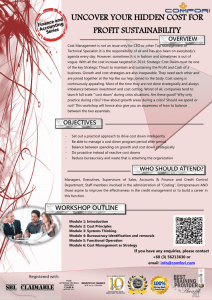 variable costing treat them as period costs. the year even though the same number of units was sold as in 2008.
first year of operations, Simoniz reported the following net income to its Alco Head Office. In 2009, Simoniz produced 100,000 units more than it sold because sales were less than expected. Cost of Goods Sold. For 2009, there was no under- or overapplied overhead. Limited. The Income Statement should show the full inventory movement. each number in your income statement. the Head Office is not going to be pleased with the results. this cost of (95,000 units x R14) under-allocated fixed costs R1,330,000 has reduced net income. unit carries forward a cost for the manufacturing overhead, that is expensed under variable costing. it simple to plan costs and profits. Cost volume profit analysis requires a variable costing format. them together and highlighting them, instead of having them scattered throughout the statement. Furry Pillows more than one quarter of the manufacturing cost is fixed manufacturing overhead. incurred in the production process. the distortions caused by using volume-based cost drivers to assign fixed manufacturing overhead costs to products. either of these two conventional costing systems. submission will be given unless all questions are attempted and workings are shown clearly. If a company has a variable costing profit of R100 000, and an absorption costing profit of R104 000.
opening inventory. By how many units did closing inventory increase/decrease? If a company has a variable costing profit of R100 000, and an absorption costing profit of R68 000.
units in opening inventory. How many units were in closing inventory? If a company has a variable costing profit of R100 000, and an absorption costing profit of R81 100.
an expense in your Income Statement. c) How many units were sold during the year? R253,600, and what would the FMOH cost per unit be at this level of production? Complete the additional lecture example on page 12 of this module. it has been completed. Your tutor will be available to assist you. *The variable cost of manufacture per unit is R500. The variable selling expenses are R100 per unit. explanation. The board of directors cannot understand the new CEO’s actions. 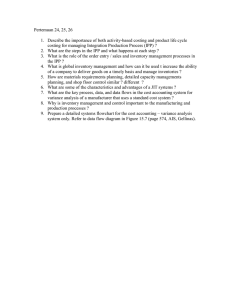 (31 March 2005) was prepared on a variable costing or an absorption costing basis. using the method reflected in the question and your answer to part a.
which would not reflect a bonus due to the new CEO. It is not necessary to reflect the movement of inventory. cost component must be reflected. president deserved the bonus? Why or why not? Can you relate this to a real-life situation?